This poll will close: Apr 15, 2020 . 💾 Name of the game: Merge Dragons! Merge dragons! - move different objects across the playing field. Connect 3 and more identical objects to get objects of higher level. 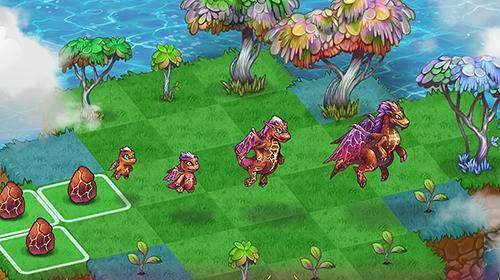 In this Android game you are going to rescue a wonderful kingdom Dragonia from evil deeds of dark powers. Stop a sinister emptiness swallowing magic lands. Do this with the help of magic and your intelligence. You can combine any objects, for example, trees, treasures, living creatures and so on. Combine eggs to get dragon assistants. Combine identical dragons to make new breeds. 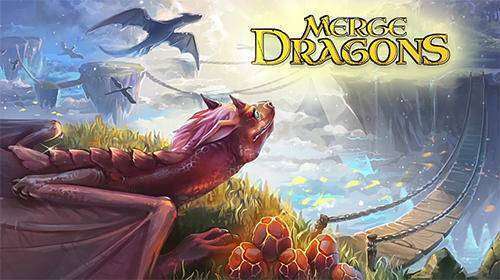 Have fun by downloading the MOD APK of Merge dragons for free, at Sbenny.com! Notes: IMPORTANT! Open the game, and complete the first level, and you'll see regular currency. Then, CLOSE the game and RE-OPEN it to have unlimited currency. I'll ask again, is there any way to get a version with JUST unlimited gems (the MTX part)? The coins stack up on the floor and make the game not fun/unplayable. I'd be willing to do it myself if you'd PM me which variables to edit (I've decompiled it). I'm so sorry but I have a couple of questions, don't throw rocks on me. 1. Do I lose all of my progress made until now, as it said in the notes that I need to complete first level then close the app and also delete the original game? I'm pretty far in the game and I have lot of legendary items and others I don't want to lose all of that. If the answer is yes, you lose it all, is there a way I can save the progress, how do you root the game? And lastly, if I change device will I be able to download again the app with all progress made? This recommendation about 1st level applies to newcomers only. In previous Debby's mods you just got more resources every time you opened the game. If your game is connected with your account (Facebook of google play), your progress is being saved automatically to the cloud so don't worry, you won't lose anything, you just install this mod and log in with your account - and voilà! You're where you were before deleting previous version. I did this numerous times and didn't lose a thing. Thank you but sadly my cloud didn't worked at all, I don't know why I unistall ed the game and when I installed debbys MOD it deleted all progress made u til now. I don't know why even now with this mod my cloud isn't working at all. When I click on connect to Facebook it loads for hours without connecting. Am I doing wrong something? the mod did not work. Probably not you but your device. Somehow I can't connect to the cloud from bluestacks (it says error) but still can connect from mobile. What device do you use?